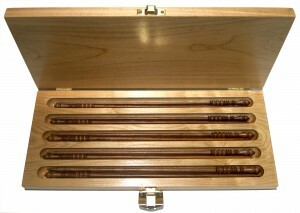 We are excited to tell you about this gorgeous solid wood case stocked with our beautiful Victorian walnut needles. For this first run we have chosen lightweight and durable bass wood which provides a very secure place for your needles to travel and an attractive way to display them at home. 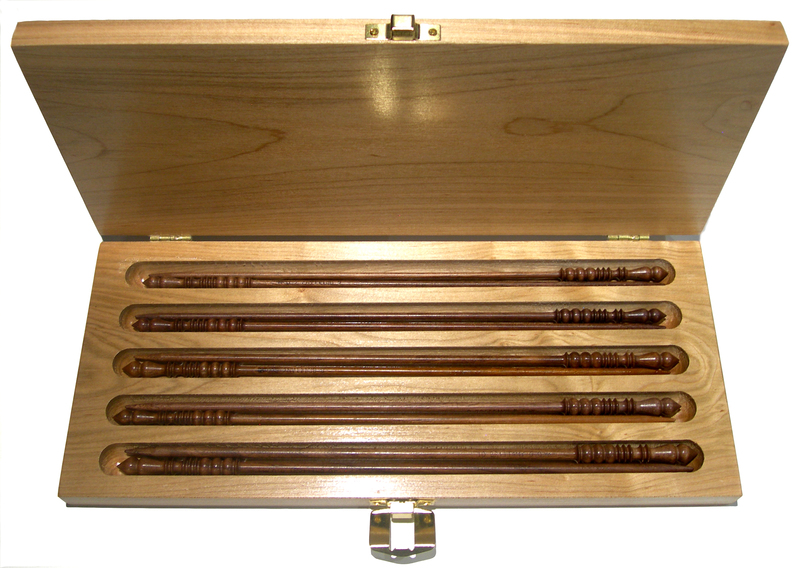 Each case is stocked with sizes US 6, 7, 8, 9, and 10 (4.0mm, 4.5, 5.0, 5.5, and 6.0mm). We made a total of 50 of these cases, each one is numbered making them a true heirloom collectible. The suggested retail price is $240. You can ask your local yarn shop to contact their Brittany distributor to order yours today. Here are some photos of our latest adventures. The three of us took a trip to San Francisco and loved this knit chameleon with it’s tongue stretching up into a tree. ♦ We got a puppy! Ruby didn’t stay small for long and is turning out to be a great dog and a beloved member of the family. 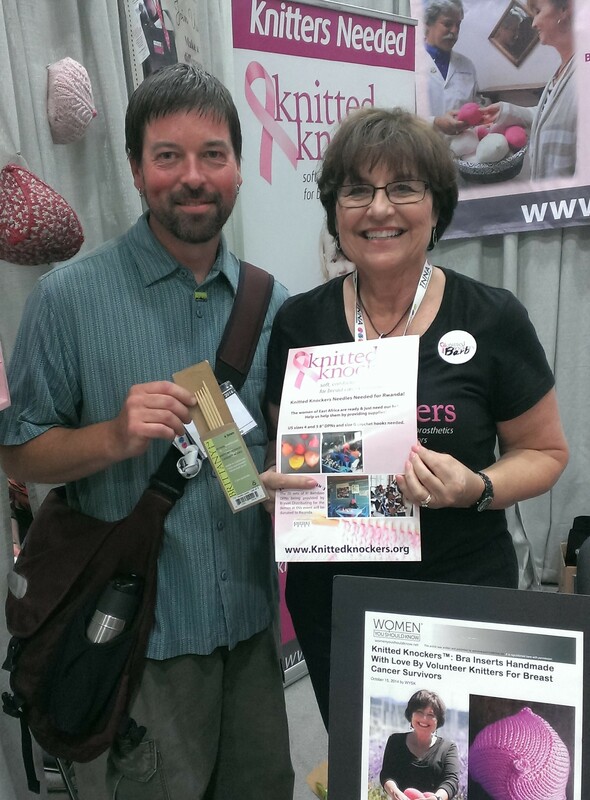 ♦ Chris and I went to TNNA in Cleveland together in June, it was my first time getting to work the booth with him! My mom retired this year and now she gets to spend quality time with Quinn while Chris and I spend time together ❤. 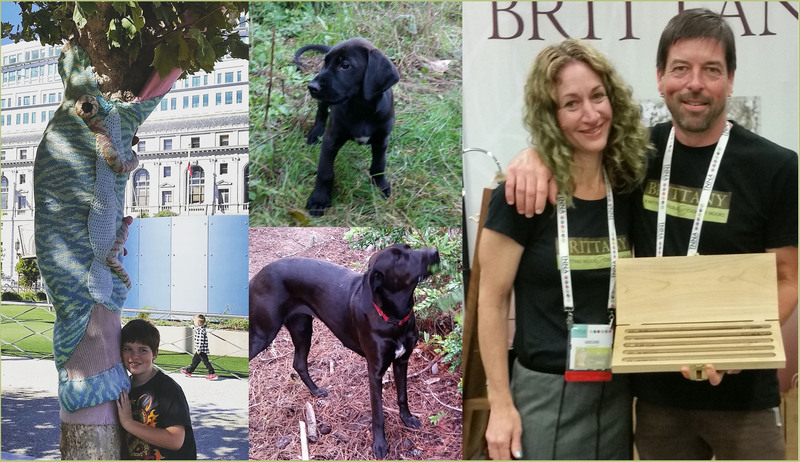 We are heading to another TNNA in Portland in just a couple short weeks. Local Yarn Store Day is a brick-and-mortar yarn shop appreciation day created by TNNA Yarn Group. The inaugural LYS Day will take place on April 21 and is designed to show support for small businesses while bringing together a unique community of knitters, crocheters, weavers and spinners to drive awareness and celebrate the craft. Learn more about it here. We’re excited to start a new partnership with Stitch Sprouts! After being thoroughly impressed with the work of Stitch Sprouts’ designers at Summer TNNA 2017, I was pleased when founder Heather Zoppetti approached me to provide needles for her kits, which she wholesales to LYSs and independent online retailers. She has created a very cool educational program, Sprout Scouts, designed to increase customer engagement with your LYS. We are even happier to say she has now decided to carry our entire needle line! Come see both of us at TNNA in Las Vegas January 26-28 2018. Stitch Sprouts is in suite 506 and Chris will be in 537 with tea, coffee, cookies, and samples of our entire line to try out and take home. Since Chris rarely gets out of the shop he will be more than happy to tell you our story and answer your questions. 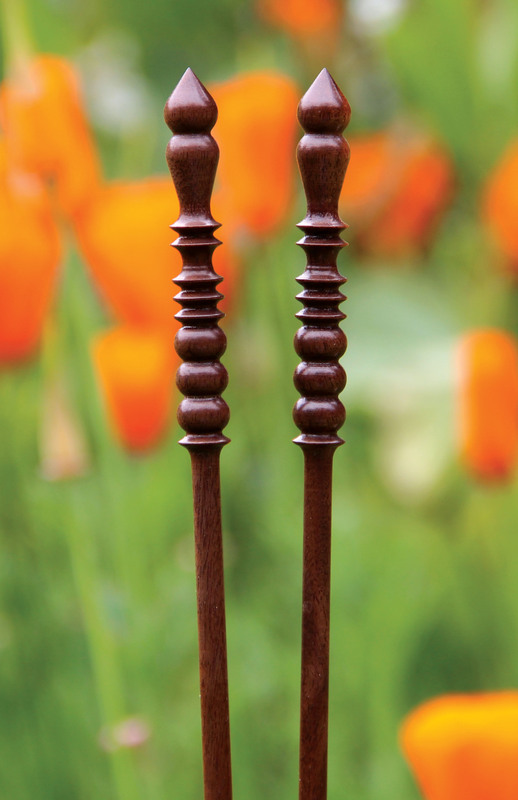 We are pleased to reintroduce our beautiful Black Walnut Victorian Single Point knitting needles in 10″ working length, sizes 3 through 13 (3.25mm – 9.0mm). We discontinued the line in 2000 because of problems in the wood available at the time. With a new FSC certified sustainably harvested source, we are confident in bringing you premium quality needles far into the future. 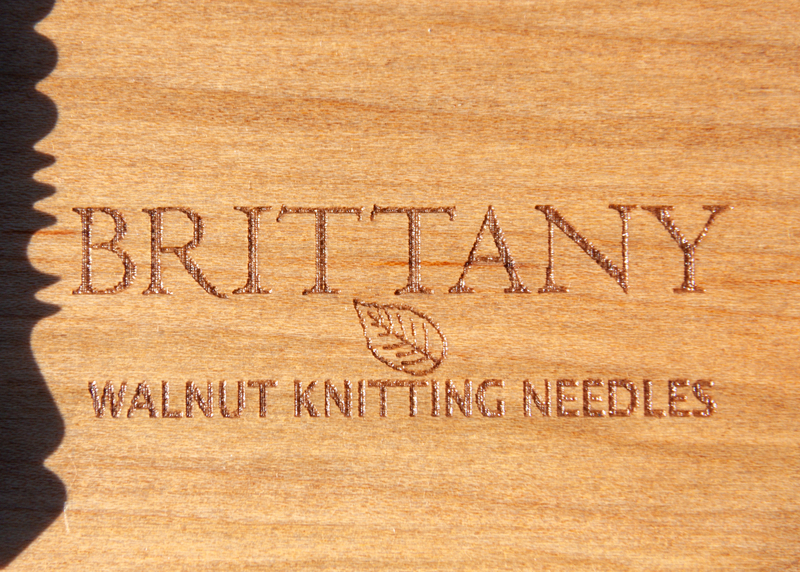 They will be handcrafted in small batches with extreme care which means they will be the finest needles available, though quantities may be limited. Featuring an heirloom quality all natural finish, they will be cherished for generations to come. 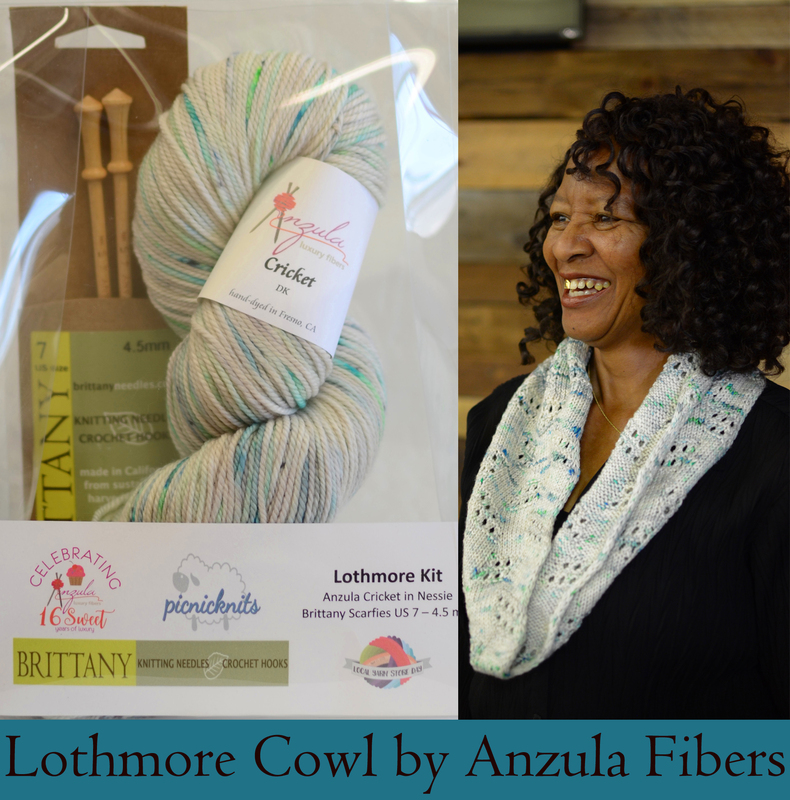 We plan to ship these to our U.S. distributors in September and they will be available through your local yarn shop or independent Web retailers. Yarn shops may inquire with Bryson Distributing or Accessories Unlimited about placing pre-orders as quantities will be limited. You can also see our How to Buy page for contact information. They will be available to our international customers in the coming months. 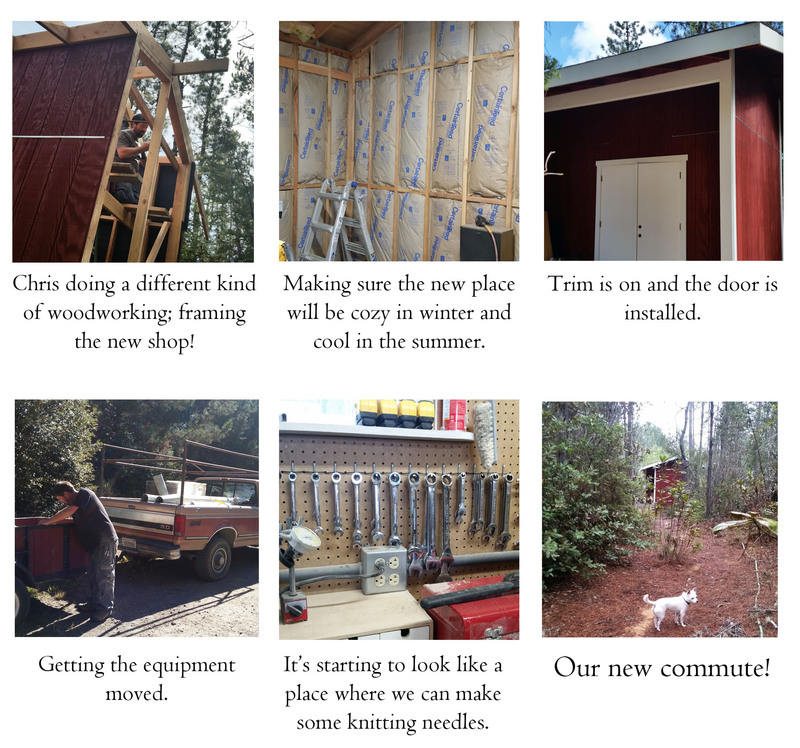 Here’s a little of what we’ve been up to in the last few months: we got a very handsome rooster who Quinn named Buckbeak; Chris has maintained our equipment – including the dusty dust system; our shop dog Pippi will not be accepting messages from UFOs with the protection of her tinfoil hat; and Michri is very proud that she can still make size 35 needles. Chris met Barbara at TNNA in DC and they immediately hit it off. We are teaming up with her to provide needles for her to take to Rwanda. Making Knitted Knockers could become a small income-generating activity that would enable women to escape poverty while making a difference to cancer patients. Barbara does amazing work, you can learn more about knitted knockers here. March 2016 – We have moved! We have been busy bees as you can see in the pictures on the left. We moved our production from Chris’ parents property to our place. It was a lot of work and there is still more to do but the effort is well worth it. We can work much more efficiently with the shop just down the hill and we get to have a lot more family time together. 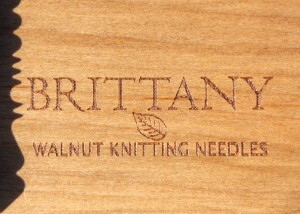 Needle Wax display boxes are now available for yarn shops, if you order 5 jars they will be shipped in this handsome box. 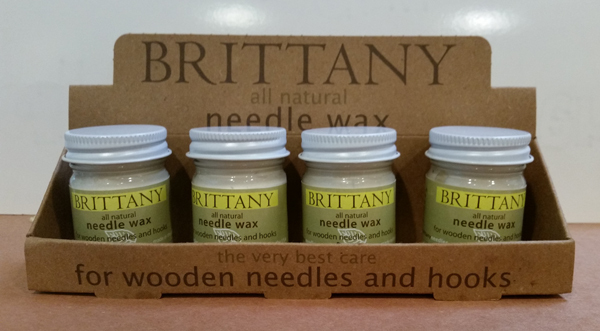 Our needle wax can be used to clean and maintain the finish of any wooden tools. Instructions for use are on the jar and the display box. The all natural ingredients of the wax are: beeswax, carnauba wax, candelella wax, water, and organic vanilla oil. December 2014 – Needle Wax!! We are happy to tell you that we have been at work on a new product and are now ready to introduce it! We have developed an all natural Needle Wax to maintain the finish and enhance the slickness of your wooden knitting needles and crochet hooks.. We are very happy with it and our testers have given it great reviews. As far as we know there is nothing else like it on the market and we have had many requests for this product. If it is not already in your LYS they should be able to get it from their suppliers. 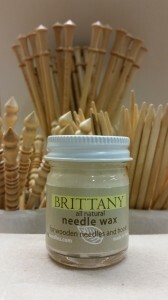 Take the very best care of your tools with this all natural needle wax. 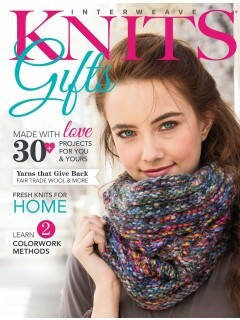 We are so excited to be featured in the current Interweave Knits gifts issue in the Where it Comes From column. You can learn all about us and see pictures of us at work. The article can be read in their Knitting Daily blog here.